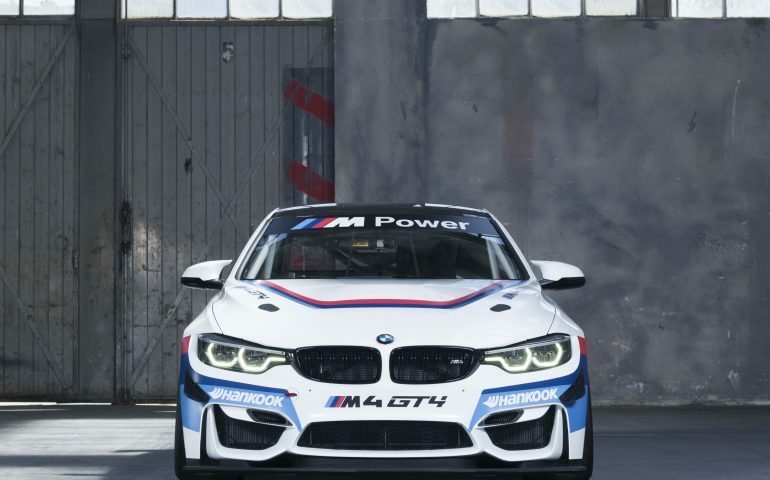 BMW Team SRM has lodged the first Australian order for the brand-new BMW M4 GT4 and will likely debut the car at the 2018 Liqui-Moly Bathurst 12 Hour. The factory-supported team, run by four-time Bathurst 1000 winner Steve Richards, has secured one of the first GT4-spec racers as part of the initial allocation from BMW Motorsport in Munich. The car will soon be Melbourne-bound, with BMW Team SRM set to roll it out for a full race programme in 2018 and February’s Bathurst 12 Hour as a start point. This renowned endurance event will be followed by an Australian GT Championship tilt, running at some of the biggest race meetings on the Supercars calendar in a newly-formed GT4 class. It effectively means a two-pronged attack for BMW Team SRM next year, with the new car to run alongside the familiar BMW M6 GT3. Richards says he’s been working to acquire a M4 GT4 since it was formally unveiled back in May, as his BMW Team SRM looks to play a major role in the introduction and early development of the low-cost GT formula here in Australia. “The M4 GT4 programme is something we’ve had our eyes on since it was first announced,” said Richards. “From a BMW Team SRM perspective, what it will do is bring a lot of guys from state-level motorsport or even the lower ranks of national categories, and give them an opportunity to go and compete at some of the big circuits and big race meetings in cars that still have very low operating costs. “GT4 is going to create a whole new demographic of motor racing for the next 10 years. “We want to use this first car to give people the opportunity to come and have a drive, to experience what the car is like, with the view of having more cars here in Australia in the next six months,” said Richards.